"Responsbul detecting is OK, while it protexs the 'obby from criticism, but wen they try to make yer do yer pocketing so it preserves and creates nolidge, well, I mean M8, that's going to far, innit?" Yohannes Lowe says 'a genteel (sic) war' is being fought over what happens to British battlefields ('War erupts over metal detecting on Britain's battlefields', Telegraph 27 May 2018). 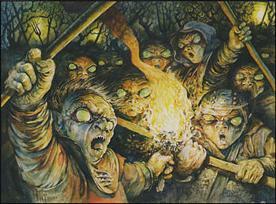 There is nothing genteel about the Thugwit clan or those that behave like them. 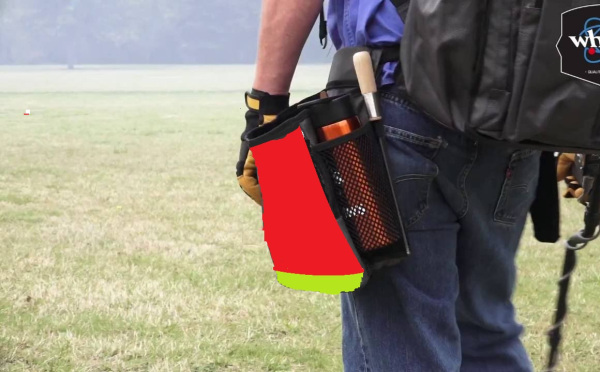 The National Council of Metal Detectors (NCMD), representing hobbyists since 1981, has refused to approve a new code setting down the guidelines for how detectorists should behave. It withdrew its support for the voluntary code after Historic England [..] call[ed] for all detecting on registered battlefields to be "a part of an organised and structured archaeological survey". "Ad hoc metal detecting, whether or not recording is undertaken, can cause the loss of evidence. It thus jeopardises future advances in understanding of the nature of the fighting that can be gained from systematic archaeological survey by distorting the surviving distribution pattern." important battlefields [...] have been damaged and evidence lost because marauding detectorists do not ensure items are reported and recorded correctly. But the detectorists argue that because of the scattered nature of material on battlefields, their method is the best way to gather the historical evidence. stolen from the rest of us. Except they don't. The majority just pocket the items and the historical evidence itself is LOST (see Heritage Action's text this weekend). The code of practice, which is voluntary, was first issued in 2006 but was updated at the end of last year. However, tempers frayed when Historic England attempted to make last minute changes during a meeting to discuss it's (sic) finalisation. The NCMD and the Federation of Independent detectorists both refused to sign up to the code because of the intervention, meaning hobbyists can continue to use metal detectors on battlefields under their guidelines. So, let us make this clear, according to their own unmodified guidelines failing to take into account the shift in policy, irresponsibly, and unethically. The NCMD and FID by failing to bring their own codes up to date are knowingly condoning knowledge theft. and who, precisely in the detecting community are they able to have those imaginary discussions? How long does it take these people to get into their heads that VERY FEW people who actually go out and comit Collection-Driven Exploitation of the archaeological record actually gives two hoots about what the potential wider aims of the PAS are (an indifference shared by the entire staff of the PAS, I feel) few of them follow the Code of Practice for Responsible Metal Detecting (preferring the laxer NCMD and FID ones which pay lip service only to the "R'-word - see above) and very few of them are a bit interested in anything much else except filling their pockets and having fun doing it and in that way that alleged 'potential that detecting offers for understanding our past' is never actually going to be 'properly met' (sic). Show us the evidence that metal detector using artefact hunters actually care if they're doing it the 'proper' way or not. This story shows that in reality that they just want to fill their pockets. Now search for a proper ('responsible') discussion of this topic on the metal detecting forums tonight and the need to replace the NCMD with a national body that represents real responsibility. There are none. Metal detectorists simply do not care and want to talk the talk of responsibility, but are never going to take a single step - let alone stride - to walk the walk. They do not care. 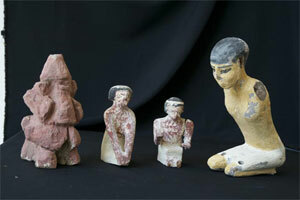 Shaaban Abdel-Gawad, the head of the Egyptian antiquities ministry’s Repatriation Department, said that the Ministry of Foreign Affairs reported the incident to the Ministry of Antiquities, which assigned a special archaeological committee to confirm the authenticity of the seized artefacts by examining their photos. 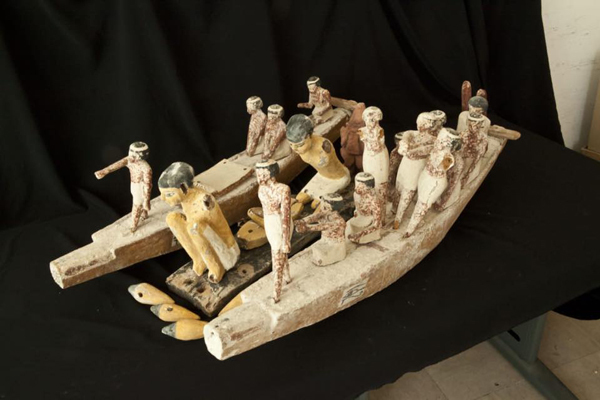 Abdel-Gawad said that the objects were stolen from illegal excavation sites, as there is no record of them existing in any Egyptian museum or store gallery. 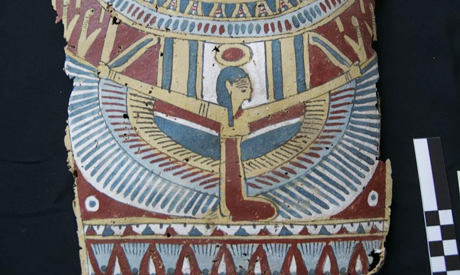 The artefacts include a collection of pottery from different pharaonic eras, as well as parts of sarcophagi and coins. Also among the artefacts were objects from the Islamic period. Abdel-Gawad said that the Ministry of Foreign Affairs is working with Italian authorities to return the objects to Egypt. it has been six years since the announcement that an apparent first century fragment of Mark's Gospel had been discovered,[...] The obvious significance of a first-century fragment of Mark is that it would be the first-known manuscript of the Greek New Testament (GNT) to exist. [...] Today, Elijah Hixson posted a blog post over on the Evangelical Textual Criticism blog about a Markan fragment that is to appear as no. 5345 in the 83rd volume of the Oxyrhynchus Papyri series. The initial post questions whether or not this fragment is the same fragment as the so-called “first century fragment of Mark.” Dan Wallace, who first announced the discovery of this fragment, has finally broken his silence and responded to Hixson’s post, verifying that P.Oxy. 83.5345 is indeed the fragment he was referring to back in 2012. Significantly, this fragment has now officially been dated to the second/third century, as indicated in a draft of the publication shown on the ETC blog. So, based on Carroll’s comments, Dirk Obbink, the co-editor of the Markan fragment, was apparently trying to sell off this fragment for a few years. [Side note: Wallace claims in his post that he learned later the famous papyrologist who dated the fragment to the first century already adjusted his views about the dating prior to Wallace's announcement of its discovery in 2012. Carroll's comment indicates that Obbink was still arguing for a first century date in 2013, a year after the initial announcement. So, we need clarification here.] According to Hixson’s post, the Greens were “possibly inline to purchase it,” but the transaction never took place. I have not seen the full publication or an image of this fragment, so I cannot make any real judgments about dating, etc. But, I would be interested in knowing how Obbink got his hands on an Oxyrhynchus papyrus (presumably) outside of the Oxhyrhynchus collection, and who gave him the authority to sell it. If what Carroll says is true, Obbink was in the business to make money off this papyrus. Could it be that the manuscript was purchased by Obbink and that he finally sold it to the EES and it ended up in the Oxyrhynchus collection? Or, could the Oxyrhynchus collection/EES have been attempting to deaccession this fragment in an attempt to raise money (this seems very improbable to me)? If Carroll's assertations are true, does the fact that we are now seeing this fragment in the Oxyrhynchus Papyri series undermine the integrity of the series? I'd love to hear your thoughts. I think we all need to hear some clarification of Carroll's allegation. This all sounds most improbable. See also Larry Hurtado's Larry Hurtado's 'Comments on the New Testament and Early Christianity (and related matters)' Blog That Curious Fragment of the Gospel of Mark–Now Published May 24, 2018. This seems to offer an explanation of the origin of the story, and Green-associate Carroll's version seems to have been found wanting. Another account provides even more information wanting. There are even more interesting detaqils on one of Richaqrd carrier's blogs: 'The Mummy Gospel Isn’t Even a Mummy Gospel!? Updates on That Supposed First Century Manuscript of Mark' April 4th 2018. Basically, nearly everything said about this mysterious fragment of Mark has been garbled and false. Christian apologists tend to be bumbling fools, and this saga is more evidence of that. Even Craig Evans himself enters the clown car on this one. There is no evidence any Gospel has been recovered from mummy cartonnage. There is no evidence any fragment of the Gospel of Mark has been carbon dated, much less to the first century; or dated by any means at all other than the comparative stylistics of the handwriting. And the only Gospel that actually exists that anyone has claimed a possible first century date for, is not owned by the Green family, and likely doesn’t date to the first century (though it might date to the second, which would still be interesting, though not even remotely as interesting as apologists have been claiming). The image of a fragment of Mark 5 linked in to all this, is wholly unrelated, and is either an awful forgery or a medieval parchment; it is not in the Green collection nor being translated by Dirk Obbink. And the only fragment connected to any of this that actually came from mummy cartonnage, never contained any part of the Gospel of Mark; that was the delusion of a crank. And again, that isn’t the fragment Wallace or Evans or anyone else has been referring to these past five years. That’s the manuscript being studied by Dirk Obbink. Which is of a different part of Mark; isn’t owned by the Greens; doesn’t come from a mummy; hasn’t been carbon dated; and when that does get published (which will be “any day now!”…which I’m guessing is code for “shortly after the second coming of Jesus”), it’s doubtful it will be dated any earlier than the second century. "Professor Obbink insists that he never said the papyrus was for sale, and that while he did receive some payments from the Green Collection for advice on other matters, he did not accept any payment for or towards purchase of this text"
The waters just get muddier and muddier: Danel B. Wallace, ‘First-Century’ Mark Fragment: Second Update 11 June 2018. What's going on? Nigel Swift, Chairman of Heritage Action has written a text on 'A self explanatory Detecting Glossary' (Heritage Journal 20/05/2018), referring to John Winter's efforts to compile a glossary of coin collecting and Treasure hunting terms. In it, he identifies the mistake made by the metal detector user of 'confusing agreement with sycophancy'. 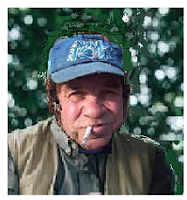 For me, metal detecting without reporting all of your recordable finds, which is demonstrably what the vast majority of detectorists do, is the action of a selfish ignoramus. If Paul shares that view and is determined not to pretend otherwise what can I do but agree with him? There are others who share that view and are determined not to pretend otherwise, but it seems that the majority of the so-called "heritage professionals" in the UK apparently prefer not to rock the boat with metal-detecting 'partners' because there are some who'll show them stuff and the rest will just get personal and sometimes abusive (like we see in the comments under John Winter's blog post). They prefer that over their actual professional obligations to encourage preservation of the archaeological record. But it is good that a few lone voices will put their head over the parapet and say what they think, even if the rest would not dare. Repeat victimisation (The site has been a target before). The impact of HOPPER will be its use in the field to develop a pragmatic risk assessment applicable both in a local and international context. Since the prior existence of 'protection' is one of the factors that increases the probability that a site will be exploited as a source of collectables by metal detector users acting illegally, I am not clear what the practical benefit is of this formula in protecting th threatened sites. Is this another call to put 24/7 guards or electronic surveillance on vulnerable sites? In fact what the authors in fact present is a checklist of sites which are vulnerable to damage and destruction due to Collection Driven Exploitation in general (what they coyly call 'metal detecting' - which of course is only a fragment of the wider phenomenon). What follows are some of the terms often used by detectorists and accompanied by a brief definition. Be aware that the compilation of such a glossary is very subjective and not definitive. It may be viewed as ‘a work in progress’. There are bound to be omissions you think should be included and maybe changes to be made. I think its candidly subjective nature is a very useful pointer to the way some of the people emptying the common heritage into their own private pockets sees what they are doing. One thing we learn about the author, he's not one of the technically-minded geeks who'd put in his glossary terms like 'ground balance', and 'coil-matrix interface interference' or 'elemental nanovibrations'. This glossary is not machine-focussed but unashamedly object centresd. This glossary is not about detecting (as an activity involving a machine) but about pocketing, acquisition and cseriating a collection.We have heard so manty times the PAS-promoted mantra that these fiolk are not just collectors, but they are in some way (allegedly) 'citizen archaeologists' (sic) who are 'passionately interested in the past (which is why they dig it up and hoik things out)' and are only interested in learning about the past and the way people lived. It is therefore informative to look at this glossary to see what its author considers to be 'the terms often used by detectorists' in discussing the hobby and how well that reflects the 'citizens learning about history' model that PAS and its supporters are using to justify support of this activity. Is it true, or are we all being misled by this glib use of a model? The first thing that strikes me is that this text consists largely of material in the 'Metal Detecting Glossary' referring to coins, In fact about eighty percent. Here this can be shown by the extent of the purple text (ignore the yellow) in the accompanying screenshot. the purple is the extent of the definitions and discussions of coin finds, the black is every other kind of artefact and everything else. The PAS database also reflects this bias. If you search for 'coin' you learn that in the database there are 409,702 records for coins, yet the database as a whole contains 1,344,750 objects within 859,938 records so that means that of the vast array of artefact types representing the daily activities of millions of people through the millennia, artefact hunters are selectively picking from the resource, to hoik out what interests them, the other artefct tyopes are being selectively ignored and discarded. The UKDFD also shows the same patterm. This is almost never discussed (wonder why?) by the supporters of artefact hunting partnering. What kind of 'learning about the past' is just picking out the coins anyway? It'll tell you nothing about the Bronze Age and much of the Iron Age. Nothing. 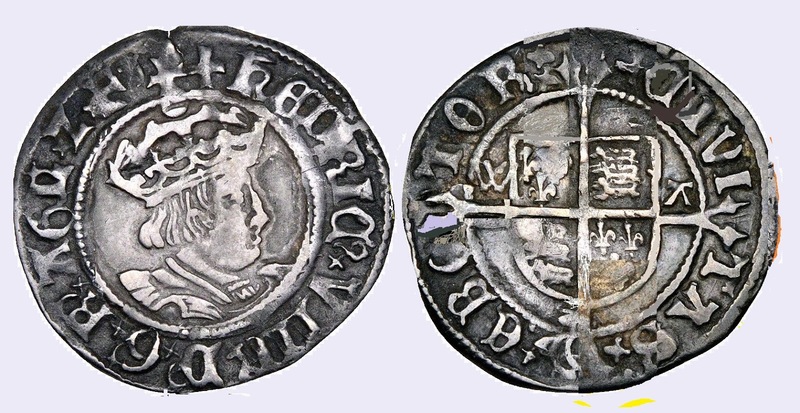 Coins are 'easy' because they have pictures and weriting on them, any fule can read a hammie or a 'Roman grot', though UK metal detectorists - not generally belonging to the group of folk one would label literate - have problems with even that, witnessed by the number of pleas for help 'ID'ing (a term missing from the glossary which defines big-words like 'annular' and 'ferrous') a coin on the 'metal detecting' forums. Coins refer to an episodic (courte durée ) kings-and-battles histoire événementielle , rather than one of general processes and daily life. This is not the way history is generally studied by the rest of us any more, amateur or professional. The collector's is a history of Ranke and Kossinna rather than that of Braudel and Collingwood. Also instead of the airy-fairy notion of'citizen archaeology', probably what many of the metal detector users encompassed by the John Winter Model of artefact hunting might be legitimately described as 'cheapskate coin collectors' - too stingy to actually go to a reputable dealer to build a collection according to certain criteria, but relying on what random material they can find for free and persuade the landowner to relinquish ownership. How much of this material (discarded) will be not-coins? Cf. 'Keeper – A slang word for a good metal detecting find', obviously coins form a large proportion of what the detector users that the glossary's author mixes with would consider 'keepers'. But of course we are all losers from what these folk individually decide are not 'keepers' in the field. and on what grounds, pray, do these folk decide that coins are not artefacts (but fell from the sky ready formed, maybe)? The reasons behind this collector-specific terminological aberration is nowhere explained. Coins not only are artefacts in every sense of the meaning of the word, but also, like the items collectors attempt to separate them from, archaeological evidence. In fact, the 'metal detectorsts' definitions' given in the glossary are easily found among others in many entry-level books on 'the joys of coin collecting' or the such-like. In passing I would note that coin collectors in general would give a broader definition of the term 'wire money', though I understand that the coinage of Muscovy is beyond the scope of the British 'dirt-fisher' (sic) if he stays where it is (still) legal and does not venture abroad with his machine. What the glossary's author has 'learned' about the PASt' (and in particular about the metal items that he searches with his noisy detecting machine to represent and make tangible that PASt) can be revealed by a couple of lapses such as where he 'informs' his slackjaw readers (none of whom seems yet to have corrected him) that silver is gilt only by a 'leaf technique' (when even checking with Wikipedia would have disabused him of that notion). . I would also draw attention to a rather significant omission, there is nowhere the metal detectorists' own definition given here of 'responsible detecting'. What is it in their eyes? Paul – [...] This just just a bloody list. Take it for leave it, but don’t use my blog promote your anti-detectorist views. I do not think anything like this is 'take it or leave it'. One of the (unofficial) Codes of Conduct tells 'metal detectorists' that the and their behaviour are all 'ambassadors for the hobby', and that is how we, the rest of us, should take it. Mr Winter surely should be 'telling it like it is'. In that case, I would like to know what it is that, in asking for closer definition of what exactly 'metal detecting' is thought to be by those who engage in it, one is expressing anti-detecting (recte, this is not an ad personal concern) views. Finally, why are the majority of the illustrations the author uses taken not from the public PAS database of artefacts found by members of the public, but the privately-run UK Detector Finds Database made 'by detectorists for detectorists' as the hobby's reaction to the publication of an official Code of Practice for Responsible metal Detecting? Although the poor old thing claims he 'did not understand' my text above ('too many words'), I note he's scrabbling now to add some more artefact types to pad out the dominance of the information on coins. Perhaps he could look at the Glossary of Metal Detecting Terms ' of Metal Detecting World and 'Metal Detecting Jargon Glossary' of Metal Detecting in the USA – Kentucky Unearthed for inspiration. Or maybe Joan Allen's Glossary of Metal Detector Terms or Kellyco's 'Metal Detecting Terminology' World, Hobby Hour's brief text of the same name, and at last a dozen others which a simple Google search will bring up for anyone willing to look. So what is the point of Mr Winter's? Swift [sic] also objects to the phrase ‘Hedge Fodder’ and says it’s not a phase used by archaeologists and I got it wrong. What he fails to understand is that this is a list of words that may be of use to detectorists, not arkies. The phrase deserves a place in my glossary. The point both of us are making is precisely that, there is a huge difference between the world of the hoiker-collector and that of the discipline of archaeology. Yet the model of 'partnership' which is de rigueur in the UK is based on the facile assumption that artefact hunting and collecting are 'citizen archaeology' (sic). Mr Winter has confirmed the utter fallacy of that convenient trope, which in discussions of policy I would argue needs to be discarded and replaced by a more nuanced fact-based characterization of what artefact hunters do. Also, as we see with the example of Mr Winter's response, time and time again, we see collectors are unable to grasp the sense of the concerns being raised about the effects of their hobby, so it is totally naive and unrealistic to see them independently adopting any effective measures to rectify the problem or do more than pay lip service to various notions, but their facadism is not the answer. The decisions have to be taken outside their hobby. And John Winter, Baz Thugwit, John Howland, all the heritage hoikers and Peter Tompa will never understand that. First of all, how interesting it is to see just one name of an archaeologist who writes about 'metal detecting', is this 'Barford' a lone voice in the field? If so, why? I leave that up to the reader to judge how many British archaeologists are speaking their mind about artefact hunting in the UK, the way it is actually being done (as opposed to merely being presented), as well as the effects it is having on the archaeological resource and public perceptions of the discipline. How many are saying what needs to be said, and if they are, why are they not singled out in this glossary too? It is disappointing to see Mr Winter going in the same direction as the likes of the two disgruntled detectorist has-beens that generally have little to say other than bashing fictional characters 'Warsaw wally' and 'Heritage Harry' to make their frustrations go away. If there are faults in my arguments, or mitigating circumstances to concerns raised here in the broader context of collection-driven exploitation of the archaeological resource, then let those who see them argue them out [with supporting evidence and case studies that prove to be more than the exception] in the public forum of the social media (that's collectors and archaeologists/heritage professionals too) instead of then name calling and distortions which help nobody's cause. In fact, is it not the case that the absence of such reasoned argument suggests that there are indeed serious questions that the supporters of collecting (that's collectors and archaeologists/heritage professionals too) really should be addressing? And if that is the case, it is worth considering why they are not, merely dodging the question, ignoring them, failing to focus their though, or trying to deflect discussion onto other topics? I do not know what leads the artefact hunter to consider Megan Fox as an authority on archaeology. Let us see what she actually has to say on the matter when (if) her proposed (see here (John Winter's citation), here and here for example) TV miniseries trashing archaeological interpretations of the past comes out. I expect a full and detailed review of the Fox-Travel Channel-mega-anti-archaeological-extravaganza from Mr Winter, a peer review of one 'citizen archaeologist' (sic) of the efforts of another. Winter's not up to the task, but 'Legends of the Lost' is discussed here and here. It sounds like it's just about metal detectorist level. A glossary with a Barford twist. 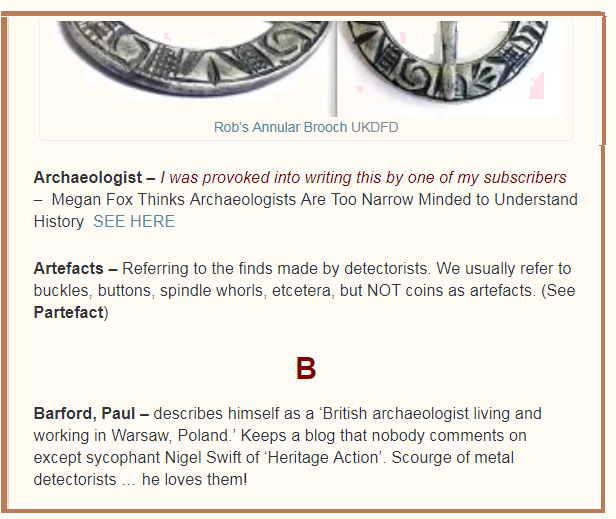 Words like ”detectorist” or what we might see as it’s [sic] true definition[,] or ”archaeologist”[,[?]] to raise the hackles of ones that are ignorant of our contribution to history. I can see the glossary is much more serious than a few puns [sic] at Paul. This was followed not so much by puns, but the usual low-brow and as personam baiting one sees in 'metal detecting' circles, referring to my recent operation. Oregon, a state in the Pacific Northwest region on the west coast of the US, only saw desultory European settlement in the late 18th and early 19th centuries, and the establishment of Fort Astoria at the mouth of the Columbia River in 1811. The establishment of the Oregon Trail in 1842–43 brought more settlers and the creation of a state in the 1840s. It should be pretty clear that this is not the byegones-archaeology that this blog is primarily concerned with. In that case, I really do not know why any metal detectorist from Oregon (unless he's also digging up Native american burial sites or something) would have interest, let alone quarrel, with what I write about Collection-Drtiven Exploitation of the (mostly pre-Victorian) archaeological record. While one is to some extent thwarted in understanding what 'Joseph from Oregon' actually means by his somewhat inarticulate expression, I think we can assume that in some way it is connected with a belief among detector using artefact hunters that the true definition of 'detectorist' would (be intended for some reason to) 'raise the hackles of ones that are ignorant of our contribution to history' (sic, he probably means historiography). It is less clear whether he was trying also, in his Oregonian backwoods way, to express the idea that the true definition of 'archaeologist' would also (be intended for some reason to) 'raise the hackles of ones that are ignorant of our contribution to history', or perhaps he meant that he feels that archaeologists do not, in fact, contribute to history. Who knows? 'Joseph from Oregon' seems to regard it as a criticism that some 'are ignorant of our contribution to history'. And what might that be? I have discussed here a couple of times the looting of the Oregon trail by metal detectorists. * What 'contribution to history' does targeting these sites actually make? Metal detector-made finds without a context may be used to 'rewrite' history, but whether or not that is in any way justified is another matter (see here for just one case). I do not see what 'contribution;' one can make by selectively removing material from archaeological (or historical assemblages) and pocketing it, or even under-reporting it. That is simply grabbing and not contributing. "Say "NO" to State Of Oregon - Senate Bill 64" urge the petition organizers. 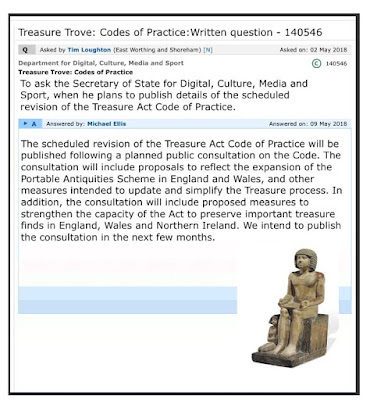 Certainly one for the ACCG to get involved in, surely it will not stand idly by while moves are underfoot to compel US finders by retentionist and "nationalist" laws to hand over relics to the state to be made available for study and archiving in public collections so everybody can enjoy them? [...] So basically what these people are all saying is that they do not want anything like the UK's treasure act or portable antiquities scheme, they just want the ability to claim the right to pick up, or dig up and carry away whatever they want without sharing it with anyone else. And what became of this initiative? In what manner do collectors and artefact hunters and collectors want to 'contribute to Oregon's history' now? 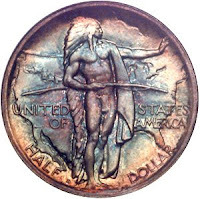 Vignette: Coin commemorating the Oregon Trail. * ('Treasure hunters with metal detectors damage Oregon Trail', PACHI Thursday, 29 August 2013; 'More Metal Detecting Along the Oregon Trail', PACHI Saturday, 31 August 2013; 'Focus on Metal Detecting: Metal Detecting Oregon - Barlow Trail Explorations', PACHI Saturday, 31 August 2013; more insulting comment from the tekkies - 'Oregon Trail Wreckers Find This Blog: "Archie crap gone awry... with a little logic and perspective, they fall apart"...', PACHI Saturday, 28 October 2017). The lead of course that is found on ancient sites just fell from the sky, it's not in any way 'archaeological evidence' (as would be accepted by detectorist authorities such as Megan Fox) or even artefacts/partefacts, is it? I mean it's not 'important' to an artefact collector. Yep, they throw stuff in hedges, theymelt other artefacts down and some numpties in Bloomsbury, ignoring what these folk actually do, try to kid us that this is 'citizen archaeology'. Vignette: some destroy stone artefacts (evidence of the past) others lead ones, but it's the same. A PAS FLO attempted on Facebook to criticise a post by Heritage Action but seems not to have really read it, or at least understood what it was saying.. He's the same one who had a go at them earlier, calling raising heritage concerns "bullying" and did not really seem to get it when an attempt was made to explain it to him. This time is no exception, he gets totally lost trying to deflect the argument onto a tangent. The bottom line is that the PAS does not say to landowners that to allow artefact hunting of sites on their land while forbidding the recording of the finds made is allowing the clandestine destruction of the record by collecting. I do not know if Mr Westwood will get what is being said - which is sad, because he's the one being paid (unlike Heritage Action) to do this outreach, which should - bloody well should, Mr W. - involve saying just such things, loudly, clearly and repetitively. Who is standing up for the archaeological evidence embodied in so-called 'portable antiquities'? FLOs who pat tekkies on the back as they bring in more and more decontextualised stuff? Italian Police Seize $1 Million Worth of Antiquities from two Roman businessmen in the central Lazio region of Italy on Friday. 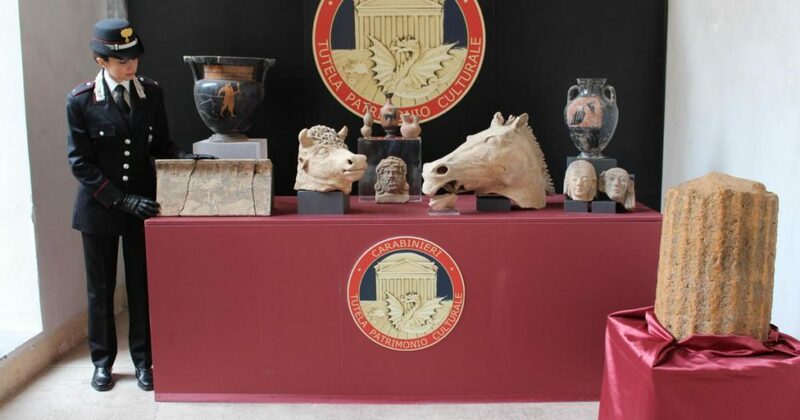 Some of the objects dating back to the 4th century BC were recovered after being advertised for sale on Facebook (Naomi Rea, 'Italian Police Seize $1 Million Worth of Antiquities From Roman Businessmen' ArtNet News May 14, 2018). Police had been tracking the financial activity of the two Roman businessmen over some time, they had allegedly been using large sums of money to buy artwork. One of the businessmen had a 'small private museum' with ancient ceramics and large scale terracotta heads: a bull and a horse, which likely belong to a larger sculptural grouping. He had not followed the legal requirements in building such a collection dof reporting it to the relevant offices of the Ministry of Cultural Heritage and Activities and Tourism (Mibact). Part of the investigation involved monitoring online activity, 'particularly a Facebook profile which police say was used to sell a fragment of a Roman column [from] the site of the ancient town of Ardea, 22 miles south of Rome'. The seizure of the artifacts is part of a recent trend in the marketplace, which has seen a surge in the sale of looted artifacts online. According to a Wall Street Journal investigation, 80 percent antiquities available online at any given moment have no recorded provenance—which means they are probably looted or fake. Two volatile factors are driving the spike: Unprecedented looting by ISIS across the Middle East has brought an avalanche of illicit objects into the marketplace. And novice collectors now have nearly unfettered access to un-vetted material as a result of the rapid growth of online outlets like Facebook, WhatsApp, eBay, and Amazon. The Artnet News reporter seems to have got a bit lost in the information forest. 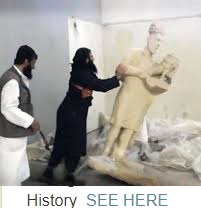 ISIL-looting is not the cause of any spike and online trading of antiquities has been going on since the mid-1990s - so, more than two decades. What is important however is the continued carelessness about paperwork that allows looted, smuggled and false artefacts to enter the market, and one might expect (in the lack of clear evidence otherwise), even to dominate it. By the way, look at that photo and its careful composition, note the way the silky covering of the stand on which the column is displayed at just-the-right-height for the composition is ruffled, the interplay between volumes and line. Even the female officer seems to have been chosen specifically for this photo. 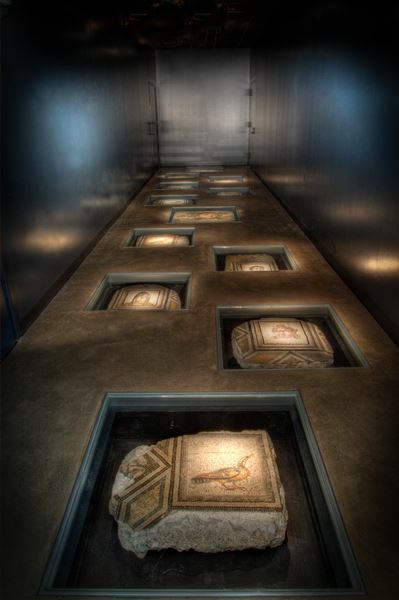 Bowling Green State University in Ohio USA found out five years ago that 12 pieces removed from mosaics in their collection had been looted from Zeugma, Turkey in the 1960s. This was widely discussed and reported in the media at the time, but the university authorities have only now decided that they should be returned to Turkey. The portableised floor pieces had been sold to them as coming from 'approved archaeological digs in Antioch overseen by Princeton University'. BGSU purchased the pieces in 1965 for $35,000 from antiquities dealer Peter Marks at the Peter Marks Works of Art, a now-shuttered New York gallery. Paperwork on the sale is scant, but shows that the purchase was made at the suggestion of former art faculty member Hugh Broadley and approved by then-BGSU President William Jerome. The pieces were eventually restored and installed under thick protective glass in the floor of the Wolfe Center for the Arts at the university, which opened in 2012. Only later did research (by Stephanie Langin-Hooper and Rebecca Molholt) show that combing through photos of the Princeton dig would have revealed that that the mosaic fragments did not match those of the Antioch excavation, but rather, some in ancient Zeugma. “That site had been extensively looted ... and comparing photographs of looted sites, we were able to pinpoint the exact location, the particular room in a mosaic house, where the fragments came from,” Ms. Langin-Hooper said. “A lot of the mosaic was looted and BGSU does not have all of it. Some of the mosaic, we don’t know where it is. It could be at another university, or lost or who knows, but there was enough there, the particular geometric patterning, the coloring, the size of the tesserae, the individual tiles, everything was a match.”[...] The professors discovered that 11 of the pieces, measuring about 12 by 12 inches, were part of the same floor. The 12th piece, 2 by 3 feet in size, depicts the mask of an ancient Greek female figure and was determined by Ms. Langin-Hooper and Ms. Molholt to have come from the same villa. Peter Marks' name has surfaced in several other investigations. Australia’s National Gallery found at least three works from Marks during their internal investigation of un/under-documented Asian antiquities. Marks was also the source of the Shiva Natarajah that the NGA deaccessioned to purchase the inferior (and looted) Shiva Natarajah from Kapoor. It is now in the Louvre. Marks also sold this Shiva Vinadhara to the Freer Sackler Gallery in 1997: [...] In 1998, Marks wrote an essay on "The ethics of art dealing" in which he lamented, "The moral world of the art dealer and the market in antiquities have recently come under attack", International Journal of Cultural Property 7(1): 116–127. While dealers may feel that what they are doing is in some object-centred (and self-centred) way, the rest of us may feel that their views may well be open to challenge (is that an 'attack', if those views are defensible?). 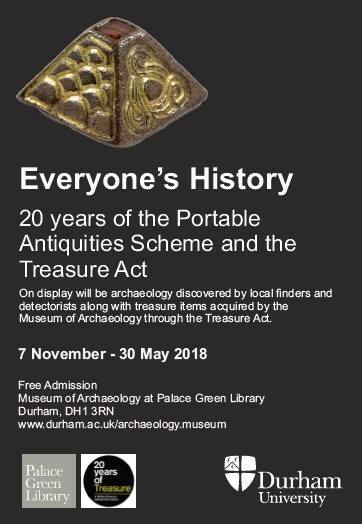 I hear that at a UK heritage conference a few days ago it was said that we shouldn’t criticize Collection-Driven Exploitation of the Archaeological Record by artefact-hunting metal detector users 'as it provides data for PhDs'. Strewth. Why are not more PhDs written investigating whether the claims made about PAS are actually based in reality? After all if you are going to use random objects selected by a collector engaged in a specific activity and for a totally different reason as 'evidence' in an archaeological enquiry, surely the first step is to ascertain the actual usability of this group of objects as such. A bit of solid source criticism is sorely lacking among 'discovery'-orientated UK archaeologists. I'm going to guess that few PhDs are written subjecting the claims of the pro-collecting lobby to a solid analysis and checking them against the reality is most probably for exactly the same reason as there are few (no?) PhDs written in British universities on whether the claims made by the likes of Erich von Daniken have any basis in reality. It seems to me that the uncritical academic support of PAS in Britain is simply intellectual dishonesty. Who wants to contest that with me? 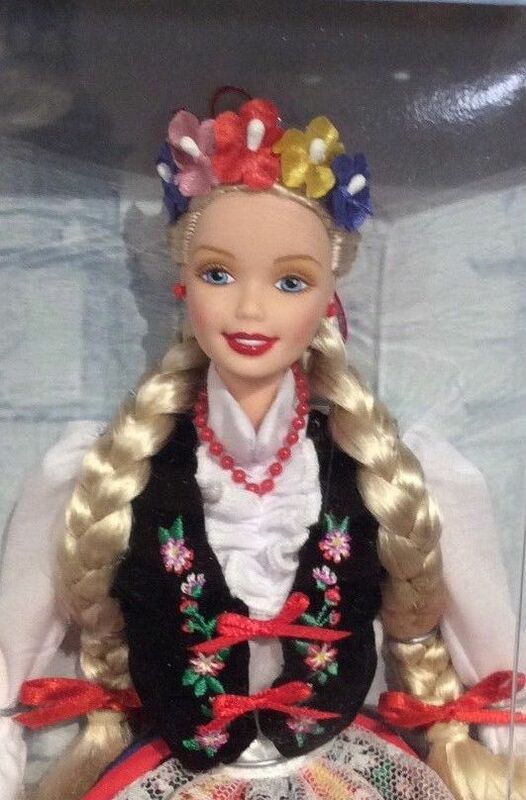 Vignette: Costume doll collecting is not 'citizen ethnology'. Safaa Boular, now 18, who lived at home with her mother in Vauxhall, south-west London, denies two counts of preparing acts of terrorism. The trial continues. Her sister has reportedly already admitted planning a knife attack in Westminster with the alleged help of their mother, Mina Dich, 43, the jury was told. The plot followed the girl's failed attempt to marry the Isis member Naweed Hussain. How safe are antiquities (like the Parthenon Marbles) concentrated in single place in London? How safe are those visiting them in such a place? 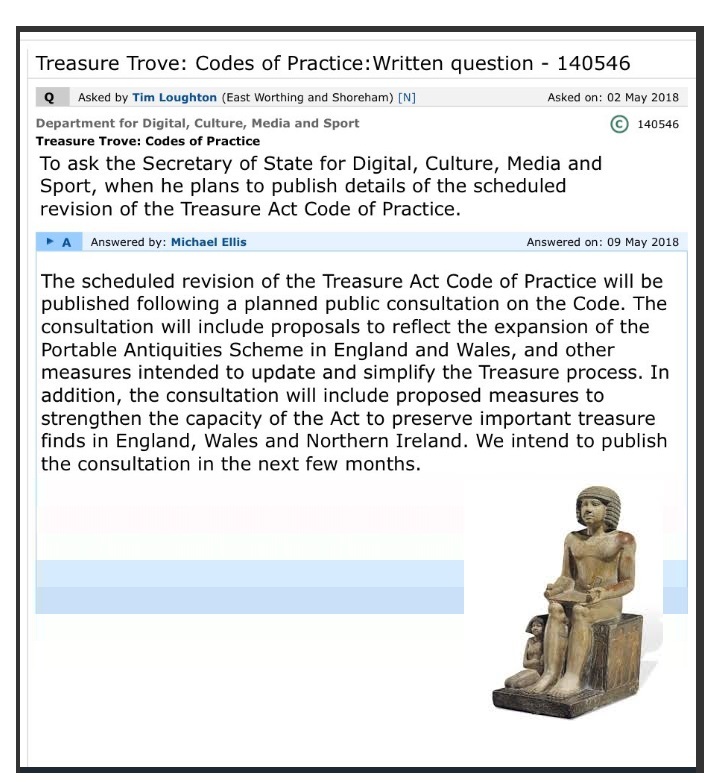 Statement by DCMS on the Treasure Act. What will the archaeologists of the PAS be doing to further that aim? Don't hold your breath while waiting to see anything. According to Dino Grandoni ('The Energy 202: Interior agency blocks group of archaeologists from attending scientific conference' Washington Post May 3rd 2018), the US Bureau of Land Management 'blocked at least 14 of its staff archaeologists and other specialists from attending a major scientific conference this year, at a time when archeological sites have become a flashpoint in the debate over public lands protection'. The archaeologists from BLM were scheduled to give a presentation at a symposium during the annual meeting in Washington of the Society for American Archaeology but permission to attend was withheld after 'reviewing the conference topics and agenda' and the desire to send 'the people who could best represent the BLM' (BLM spokeswoman Amber Cargile quoted). The presentation was titled “Tough Issues in Land Management Archaeology,” and it ultimately had to be cancelled due to the lack of participation of government scientists. The symposium was going to touch on several contentious issues, according to the event schedule, including the enforcement of the 1906 Antiquities Act under which President Barack Obama designated numerous new national monuments now under review by Interior Secretary Ryan Zinke. The act, signed by President Theodore Roosevelt, grants the commander-in-chief authority to set aside public land — including archaeological sites — for natural, scientific or cultural protection. Former presidents Barack Obama and Bill Clinton did just that when they created the Bears Ears and Grand Staircase-Escalante national monuments, respectively, in Utah. One of the justifications for the national monument designations was to protect culturally historic sites for Native Americans. The Utah monument areas, each overseen in part by BLM, have both been raided by artifact looters. Only permitted researchers can legally dig for artifacts on BLM lands. But many conservatives, including many Utahns who wants better access to the land for grazing and other commercial activity, saw the sprawling size of both designations as a case of classic federal overreach. Late last year, President Trump officially moved to shrink Bears Ears and Grand Staircase-Escalante by more than 1.1 million acres and more than 800,000 acres, respectively. "They don't know your land, and truly, they don't care for your land like you do," Trump told Utah lawmakers and other residents in Salt Lake City in December. "But from now on, that won't matter." Some archaeological and environmental groups point to the decision as another example of the Trump administration’s effort to restrict researchers’ communications with the public and fellow scientists. Maybe dealers' lobbyists, instead of attempting to dictate how other sovereign countries 'should' protect sites on their territory from looting, might like first to look at the parlous state of affairs in their own country, and make sure that those charged with heritage management actually have the means to carry out that work (resources and ability to enter into public discussion with the stakeholders, the American people). The British Museum has launched a new antiquities database project, after its department of ancient Egypt and Sudan received a £998,769 grant from the Cultural Protection Fund, which is run by the British Council and the Department of Digital, Culture, Media and Sport(Laura Chesters, 'British Museum launches Egyptian antiquities database to track looted artefacts' Antiques Trade Gazette 4th May 2018). The database will focus on antiquities from Egypt and Sudan, but is expected to eventually expand to include artefacts from other regions. The project will include antiquities in circulation on the international art market as well as in private collections, and is designed to become an academic resource but should also “act as a deterrent to looting and other illicit activity”. The museum believes the database will make the “art market more transparent”. [...] The project will prioritise documenting objects seen in the trade since 1970 which is the year UNESCO’s convention to prevent the illicit trade of cultural property came into force. The museum said the antiquities trade – including auction houses, dealers, and dealers’ associations – have endorsed the project. They will share images and data and are working alongside legal experts and the police. A team based at the museum will oversee the development of the database and it will provide on-the-job training and equipment to antiquities staff from the Ministry of Antiquities in Egypt and the National Corporation for Antiquities and Museums in Sudan. Twelve trainees will be taught how to document antiquities on six-month training schemes. And it is less cklear what those people wioll do with that experience on returning to Egypt and Sudan, when the database itself is in London. Also is that going to deal with the 'British' trade, or the global one? Will there be opportunities for dealers and collectors to report what they currently have (legally) in their possession? 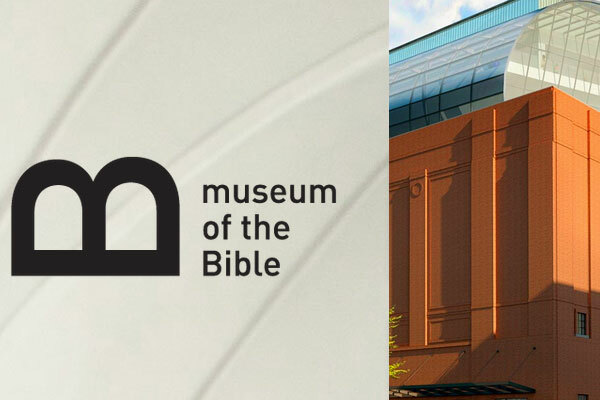 Melissa Bailey Kutner (Assistant Professor of Ancient Studies at the University of Maryland, Baltimore County) visited the Museum of the Bible (' Hobby Lobby’s Museum of the Bible Steals; Does It Also Lie?' eidolon May 3rd 2018). As an academic and a classicist, I also knew that the museum collection was full of Greco-Roman antiquities, in particular papyri, and that the process of their collection had ranged from careless to criminal. Much of the collection was amassed in a dizzying buying spree concentrated in 2009–2011. Questions — often raised by scholars of the Greco-Roman world (one of the most tireless has been Roberta Mazza) — about the provenance of these artifacts quickly proliferated. Some artifacts had appeared previously online at sites such as eBay. In one egregious case, dealers connected to the Greens labeled cuneiform tablets looted from Iraq as “tiles,” and smuggled them into the United States. The Greens were prosecuted by the US government for the smuggling and, after paying a fine of $3 million, returned thousands of artifacts, which yesterday were handed to Iraq’s ambassador in a ceremony in Washington DC. Although the Greens pleaded innocence (despite having been warned by a cultural property expert about their collecting), they have grown cautious about what they display, and only some artifacts have made it into the museum. The rest of the collection, by one testimony including whole crates of unprovenanced papyri, still lies in the Greens’ warehouse in Oklahoma. The Greens will likely avoid further prosecution and will keep the rest of their objects, while the museum itself now performs a legitimizing function for them. would this disregard for archaeological ethics and information carry over into the displays? The short answer is that it does. The building showcases a context-less approach to the ancient world that is common among people like the Greens, who have increasing impact on educational and political policy in this country. [...] Since the Museum of the Bible will reach a wider audience than most classicists can even dream, this approach to artifacts is worrying, and it is worth thinking about what we can do as public intellectuals to counteract it — for example, by refusing to work on unprovenanced material (not only from the Greens, but from anywhere). In certain galleries, the museum does seem to strive for what it evidently thinks is neutrality. Other exhibits, however, are blatantly proselytizing. And on the whole, objects are used in a talismanic fashion, to provide tangibility and a frisson of authenticity, while all the ways in which they bring into question the literal truth of the Bible are obscured or ignored. [...] The main thing one notices about all these displays is that dramatizations, videos, and insistent framing (through lighting, architecture, arrangement, and the museum’s quotes and texts on walls) overwhelm the objects. Objects are there to punctuate a story; the story is not determined by the objects. within exhibits [...] any information that complicates or contradicts literal interpretations of the Bible is obscured or distorted, so that visitors likely come away with the impression that archaeology confirms literal interpretations of the Bible. [...] All of the artifacts are subordinated to a story of the Bible’s development that largely stresses seamless transition and consistency. There is little attention to archaeological context. Archaeological sites are only invoked haphazardly. [...] Artifacts and archaeological sites are used to invoke tangibility, but with little context, or are mischaracterized in the service of a larger agenda. 'it is clear that non-textual objects are not considered very important. Words are what matter to the museum, but the museum has an awkward problem in telling its continuous story since textual evidence of the Bible comes so late. does a certain violence to any viewer — religious viewers are misled about what artifacts actually show or prove and are robbed of the possibility of a faith that actually wrestles with contradiction. For a classical archaeologist, the violence is more particular: you have a keen sense of knowledge both lost and abused. In the US, ICE have returned to Iraqi authorities some 3,800 Iraqi artefacts that were smuggled to Hobby Lobby stores ('as tile samples'). The retailer had bought them in 2010 for $1.6 million via dealers in Israel and the UAE. In 2017, the U.S. federal government filed civil action against Hobby Lobby to forfeit more than 5,500 artifacts that had allegedly been illegally imported from Iraq in 2010. It is not at this stage clear where the discrepancy in numbers comes from. Of the 450 cuneiform tablets in that haul, many came from an ancient city called Irisagrig, U.S. Immigration and Customs Enforcements said in a statement. Many of these tablets date from between 2100 B.C. and 1600 B.C., the statement said. Most of them are legal or administrative texts– meaning that they contain records such as contracts and inventories of goods that made it easier for private citizens and the city’s government to run their affairs – while a few contain a form of magical spells called incantations, the statement said. In a 2010 paper that Jarus cites, Manuel Molina Martos of the Spanish National Research Council describes Irisagrig as “a Sumerian city never excavated before and whose location remains unknown.” These are not the only tablets to be associated with Irisagrig. Since the late 1990s, these tablets have been turning up in some numbers in antiquities shops and auction houses. One is in the Ashmolean Museum (apparently acquired in teh 1930s) a large number are in 'unknown' collections, while there is a body in the collections of Yale, published in 2003).While archaeologists have some guesses for where the city may have been, they have not yet found the site. There is some opposition to the Hobby Lobby Illicit cunies being sent back to the country they were stolen from by the antiquities trade. Not all scholars agree that the artifacts should be returned right away. "If these tablets are returned and if they are from Irisagrig, it will be a great tragedy for scholarship that they will not be published before they are returned," said David Owen, a professor of Near Eastern Studies at Cornell University. Owen has published a number of scientific papers describing tablets from Irisagrig, but has not worked with Hobby Lobby and has not studied the seized texts. "Once they enter the bowels of the Iraq Museum, it is unlikely scholars will ever have acccess to them, nor are there any Iraqi scholars capable of publishing them given the many thousands of unpublished texts already in storage in the museum for generations and mostly inaccessible to scholars," Owen told Live Science. Owen added, "Our goverment should, first and foremost, make sure all artifacts are recorded and published before repatriation. This would be of great benefit not only to scholarship but also to the Iraqis who do not have the resources to publish these texts. Anything less is a travesty." What is a travesty is that scholars are willing to work with stolen material. If scolarship is served by this, let Professor Owen persuade the 'philanthropic' millionaire Hobby Lobby Green to provide Iraqi scholars the resources to publish the decontexctualised artefacts he attempted to obtain for himself (ostensibly for 'scholarship'). How about Cornell University providing a monograph series for the Iraqi scholars working on the material that US collectors and foreign dealers attempted to pilfer from Iraq? Professor Owen, are you up to it? One would not like to think that the US professor sees here a lucrative opportunity to get his work, and that of his cuneiformist colleagues financed by the US taxpayer for a few years work transcribing these records in their nice comfy academic institutions. that would be their own efforts to profit from this culture crime - justified in the name of 'preservation'. Are scholars competencies, Professor Owen, determined by their skin colour? Why do you and your colleagues apparently consider yourselves more 'qualified' to do it than the Iraqis?